Booming From the Mists of Nowhere is a reading adventure — our latest best chronicle regarding the life and times of America’s greater prairie chicken. 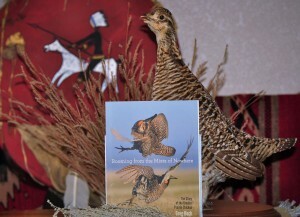 For those who love native prairie and the prairie chickens that inhabit its open spaces, this book is a mandatory read. Written by Greg Hoch and published by the University of Iowa Press, the book is available through book stores or Amazon for 20 bucks. 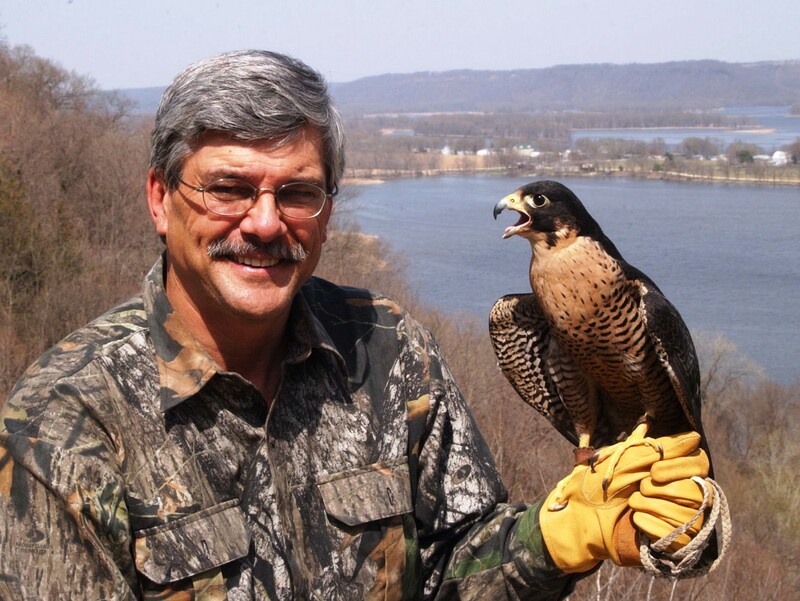 Booming’s author, Greg Hoch is the prairie habitat team supervisor for the Minnesota DNR. Concise, yet incredibly descriptive, Hoch has effectively distilled the dramatic history, current status, and tentative future of the prairie chicken into a mere 108 pages of riveting text. Although I’ve only had the work in my possession for two days, I’ve already returned to favored portions for a third reading. It should also be noted that if you’re looking for an elegantly embossed, filled with dramatic full color photos, coffee table-style book; this isn’t it. In fact, other than its dramatic color cover, the 6X8-inch paperback contains no photos at all. 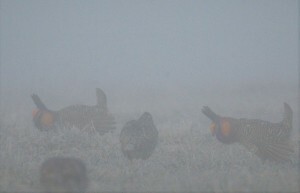 What is does contain is perhaps the best and most complete gathering of popularized, easy reading prairie chicken lore ever compiled in one place. Historic accounts regarding the chicken’s former abundance boggle the mind — like the time three Iowans killed 410 prairie chickens during one hour of shooting over a single tract of land; or the hunter who, only hunting mornings and evenings, shot 600 chickens in ten days. 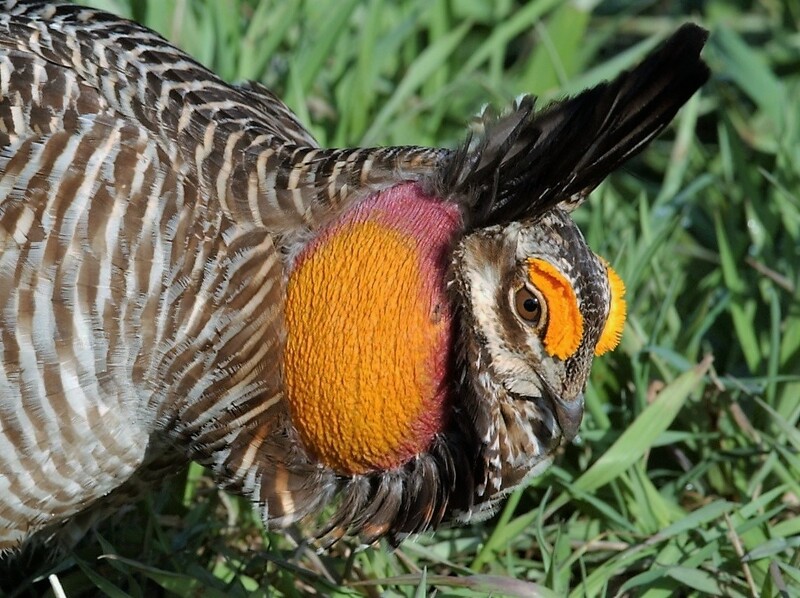 In addition to shooting, prairie chickens were also bait trapped by the tens of thousands. Much of the trapping was done by early homesteaders, like the family who took 500 chickens in a little over one week from box traps set in the garden. Trapping of wintering chickens may have literally prevented some farm families from starving to death; thousands more were shipped to market. The book’s imagination sparking accounts continue. Final Thought: When it comes to the greater prairie chicken, I make no attempt to conceal my full-fledged bias. 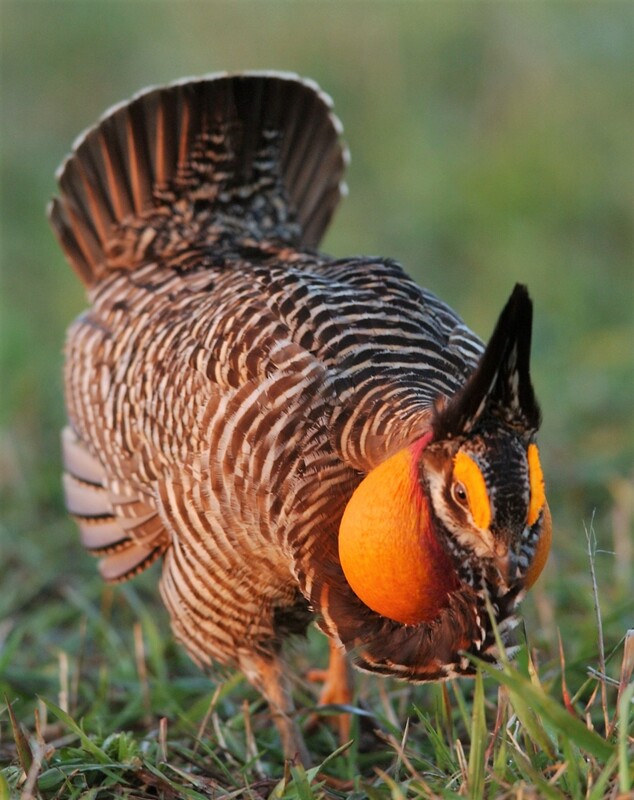 A bird like no other, the prairie chicken, along with our American bison, is an iconic signature species; an intriguing living relic of the vast and mostly vanished prairie ecosystems that once blanketed the Great Plains. On the open plains of the West, I’ve savored the unique thrill of hunting prairie chickens under high flying falcons, an event where the grouse’s spectacular speed and aerial agility is taken to levels never observed when pursued by earthbound hunters. Armed with telephoto lens, I’ve spent frigid spring mornings hunkered within the confines of a portable blind in hopes of obtaining close up photos as males dance and fight across ancient prairie leks. The day begins as the first bird sails in and loudly announces his arrival while the morning is still pitch black. At close range, the surprise sound is startling. It is also a signal for good things to come. Regardless of the cold and in spite of fog, wind, or sleet, the sight and sound of booming chickens never fails to bring the tingle of goose bumps. 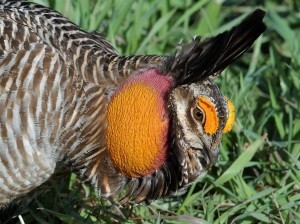 Along with the vocalizations of wolves, elk, and wild geese; the haunting boom of the greater prairie chicken is one of the grandest sounds on earth. Booming From the Mists of Nowhere is not only a well-documented reminder of what we’ve squandered, but also provides inspiration to zealously protect what we’ve saved.